Carnival Entrants will start arriving from around 5.00pm and so the area around Romney Road roundabout, the Leisure Centre and Burton Road towards Asda may become congested. Kendal Town Centre will close to incoming traffic around 6.30pm. Diversion signs will be in place for all through traffic. Roads will close to outgoing traffic around 6.45pm. Roads will re-open around 10.30pm after the Torchlight Carnival procession has finished. Please note: During the evening the town centre roads are closed using a Road Closure Order which prohibits road traffic until the Road Closure has been formally lifted. If you park within the Road Closure cordon your vehicle will not be permitted to leave until the Police have given their consent to open the roads (around 10.30pm). If you need to drive away within the times above, please ensure that you park outside the Road Closure cordon. Up to date details of Road Closures will be published on the Torchlight Facebook page and in the Westmorland Gazette. The Kendal Torchlight Carnival procession starts from the traffic lights by K Village Car Park on Lound Road, winds it’s way around the town, and heads back towards Kendal Leisure Centre. There’s a link to a map of the route at the bottom of this page, and there’ll be a Souvenir map in the Torchlight 2018 Programme (available for a £1 donation throughout the Carnival route on the night) and available from outlets around the town before the event. All Carnival entrants head back to the Leisure Centre. Crowds disperse but are still on the roads. Please do not drive through a road closure until it has been lifted. Once the crowds have cleared and it is safe to drive, the Police will give their permission to lift the Road Closure and vehicles will be allowed back onto the streets. Torchlight Marshals will be there to keep you informed. Thanks for your understanding. In 2017, over 70 entrants paraded through Kendal, entertaining over 25,000 people, promoting their group or business and promoting the best of Kendal. We are seeking volunteers to help run Torchlight 2018. If you can commit a few hours a week as part of the Torchlight 2018 Management Team, please get in touch. Torchlight promotes the best of Kendal and has always been run by Kendal for Kendal; it’s your opportunity to help make Kendal famous. Thank you for your support! 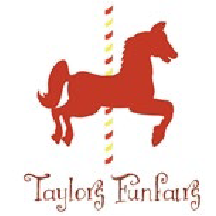 Have fun, enjoy our Torchlight Carnival and bung a quid into our Partner Charities buckets please. Please keep children close during the procession and prevent them from picking up sweets or other items that have fallen into the roadway. For safety reasons, watching from the bridges is not permitted. We ask our spectators to remain on the pavements as the procession passes. Please don’t cross the road between floats and bands when the procession is moving past. This will help us to run a safe Carnival for everyone. Keep well back from lorries and avoid crowding on corners and narrow sections of roadway. Large floats need the maximum space to negotiate the route safely. Please follow the instructions of Torchlight Marshals along the route. They are there to ensure your safety. Please do not throw anything at the people in the procession. Our charity partners will be all round the route collecting, using buckets with the Torchlight logo and wearing a clearly defined bib or vest and ID badge. No-one else is authorised and approved to collect during the day. Please ‘KEEP KENDAL TIDY’ by using the litter bins provided around town or by taking your litter home for disposal or recycling. There are few public toilets around Kendal, though many of our local hospitality businesses are happy for the public to use their loos. There are areas around Kendal where there are no public loos, so if you’re heading to such an area be sure to “go before you leave home”. Kendal Torchlight Procession Limited and organisers of associated events accept no liability for injury, damage or loss arising from or because of any event connected with the Kendal Torchlight Carnival.